Beware of Stroke in Young Age, Consider Immediate from Doctors RSUD Dr. This SoetomosteemCreated with Sketch. When the first stroke is usually experienced by many elderly patients, but now is not. The case of stroke is currently a lot of attacks among young people. Need more vigilance for people with stroke even mild stroke type though. Neurology and neurovascular specialists Dr. Soetomo dr. Achmad Firdaus Sani, Sp.S, FINS explains, that as for the stroke that has not been widely known to the public that is often underestimated is a mild stroke and a cursory stroke. 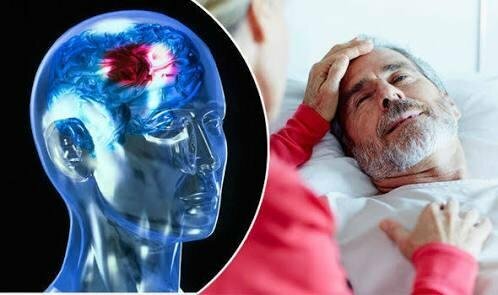 However, this stroke attack remains an emergency condition considering it indicates the presence of blood vessels in the brain that was in trouble. "In principle, all strokes remain a dangerous condition in spite of large or small strokes, because if one of the vessels is deformed or blocked, it is likely that other brain vessels are deformed, an emergency in the field of neurological disease," he explained. According to alumni FK Unair, a mild stroke is a blockage of blood vessels that generally occur in the area of ​​the brain that is not widespread. Manifestation of symptoms is usually quite mild, such as talking pelo, face perot, body weakness as mild. However, this stroke will soon recover after 24 hours or after patients treated five to seven days. "Usually this happens blockage, so when after being treated or resting it will occur infiltration and normal patients back," said Firdaus. While a cursory stroke is a stroke due to brain blood vessel abnormalities, eyes or spine that occur briefly or less than 24 hours has improved perfectly. "For example, the body is suddenly paralyzed to the left, a cursory brain attack because it improves slowly less than a day," explained Firdaus. These two types of strokes should not be underestimated. The reason, this mild stroke could have become a severe stroke in an instant that can not be expected. One of the most frequent cases is called stroke progression which is characterized by repeated mild manifestations and becomes more severe symptoms. A mild stroke can also be fatal if it occurs in a vital area of ​​the brain, such as the brain stem. Therefore, patients are advised to be treated immediately in the ER. Furthermore, the patient performed head CT or head CT scan. This is to determine the existence of bleeding in the brain. If found there is bleeding then the patient is required hospitalization. Even if there is no bleeding will usually be followed up by doctors with photos of blood vessels of the brain. When there is a narrowed blood vessel of the brain will be given drug therapy or neuro intervention measures. Neuro intervention is given to correct the blockage or leakage in the type of blood vessels large enough. Firdaus reveals, the stroke is now facing a lot of young age. This is evidenced by the majority of patients treated in hospitals dr. Soetomo is now under 40 years old. 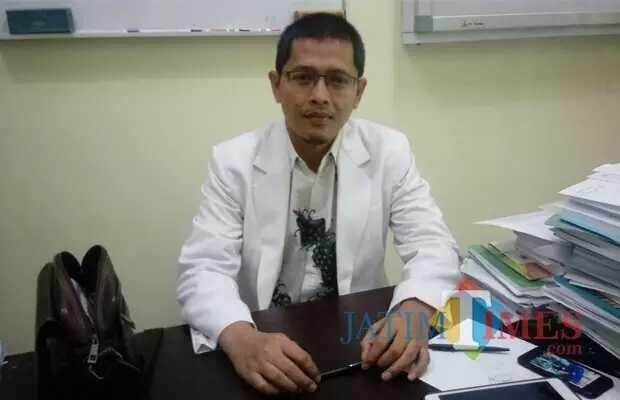 "Stroke patients for 24 hours each day can reach 5-10 people, one in two patients are usually aged 20-30s, there are various types of blockage or bleeding," said this doctor from Banyuwangi. Firdaus appealed to patients or families to respond quickly if experiencing any of several symptoms of stroke that may be experienced. That is, the face is sagging or sagging, the arms weld, the talk becomes obscure or the pelo, a sudden darkness, suddenly forgotten or paralyzed half of the body. Thus, the patient should immediately get emergency care and immediately make a diagnosis to ensure damage to blood vessels. "His name just stroke, suddenly and suddenly so unpredictable, because it attacks the blood vessels.If there is one symptom, immediately to the ER," Firdaus message, greeting familiar. In addition, continued Firdaus, a class with a history of mild stroke has a greater chance of having a severe stroke at an unpredictable time." @steem-marketing has voted on behalf of @minnowpond. I agree, even children can experience such stroke. @minnowpond has voted on behalf of @minnowpond.